Ensuring snow leopard survival and conserving mountain landscapes by expanding environmental awareness and sharing innovative practices through community stewardship and partnerships. 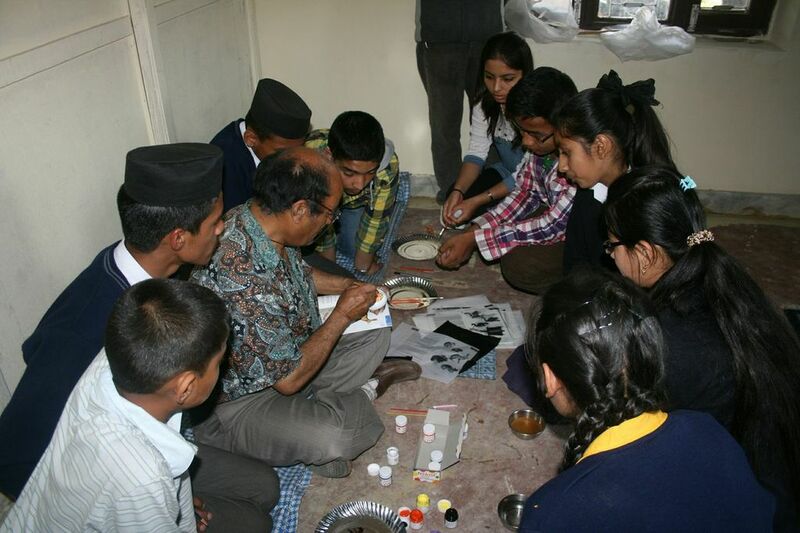 On 20 April, senior artist, Chhewang Jigmi Lowa – resident of Lomanthang, showed students of the Snow Leopard Scouts Committee how to paint wildlife species on small rocks and stones gathered from local streams. Special care was made to select stones or rocks of appropriate shape, structure, and size that resemble regular paperweights used in offices with the side-objective to explore the possibility that the painted stones could replace paperweights in local offices. The artist also trained students for regular sketch arts. 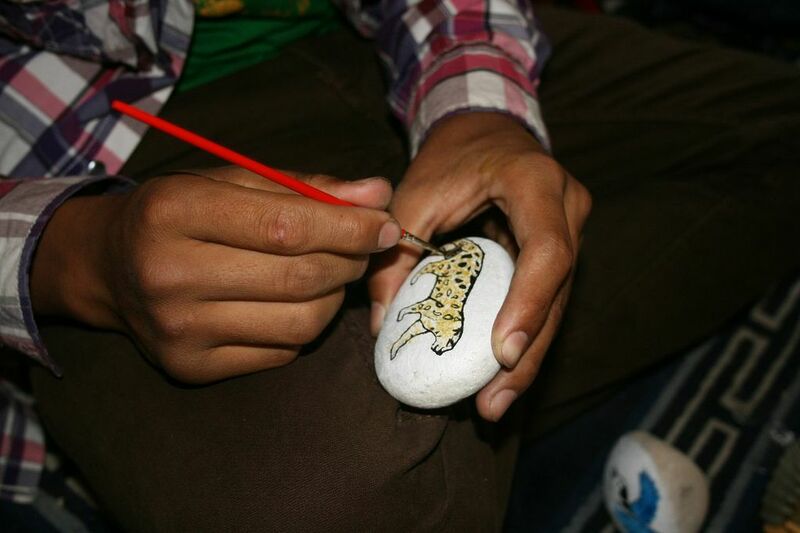 Students, after the training and exposure, were assigned to paint high altitude wildlife species on stones. They took part in inter-school arts competition on the theme “Manab- banyajantu bich ko danda newnikaran ko lagi sahakarya garaun (that is, “Joining hands together to mitigate human-wildlife conflicts)”. This theme has been the slogan of the National Wildlife Week (First week, 1-7, of the New Year 2070, Nepali calendar). Twelve students participated on stone painting activity. 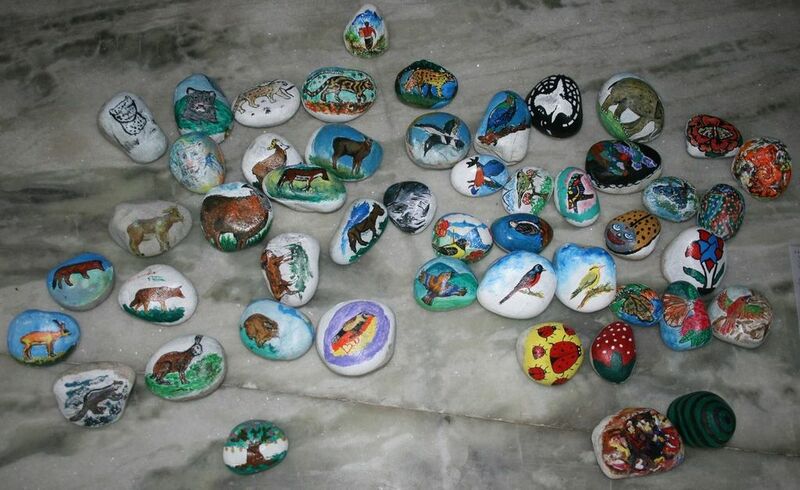 They produced 17 different wildlife species on stones. For encouragement, the youth were given small monetary awards. Sonam Dawa (Lama), Dawa Tshering and Sangbo Gurung received the first, second and third prize respectively, and the rest received the consolation prize. In case of sketch paper painting, 11 students participated. Sonam Dawa (Lama), Tamding Dorje, and Pema Wangchen were awarded with the first, second and third prize, respectively, whereas three students obtained consolation prize. Students wrote travel dairies on their “once-in-a-life-time” experience and feelings. These writings and contributions are currently being documented and will ultimately find their ways to one of the snow leopard scouts booklets series, for other fellow students, their parents and other peers to learn, judge, and replicate the actions. ← Snow leopard voted #8 for World’s Favourite Species! Snow Leopard Conservancy is a 501(c)(3) nonprofit public charity. Snow Leopard Conservancy © 2019. All Rights Reserved.